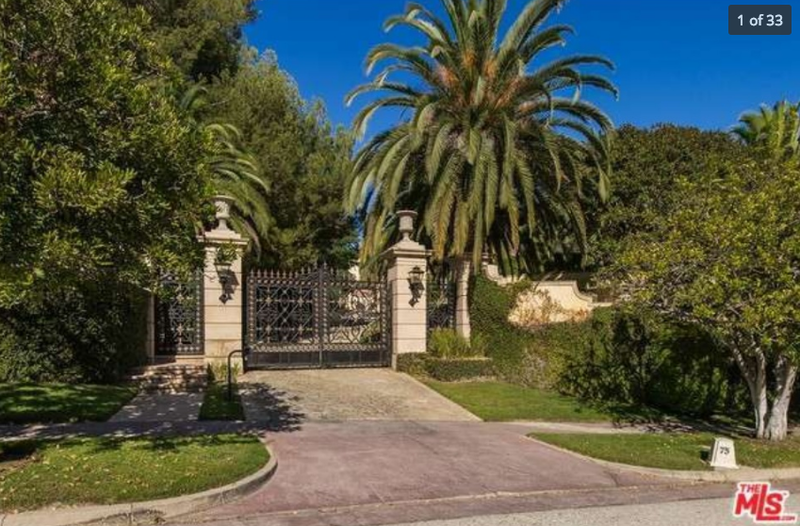 Rent Vanna White’s Former Beverly Park Home For $150,000/Month! 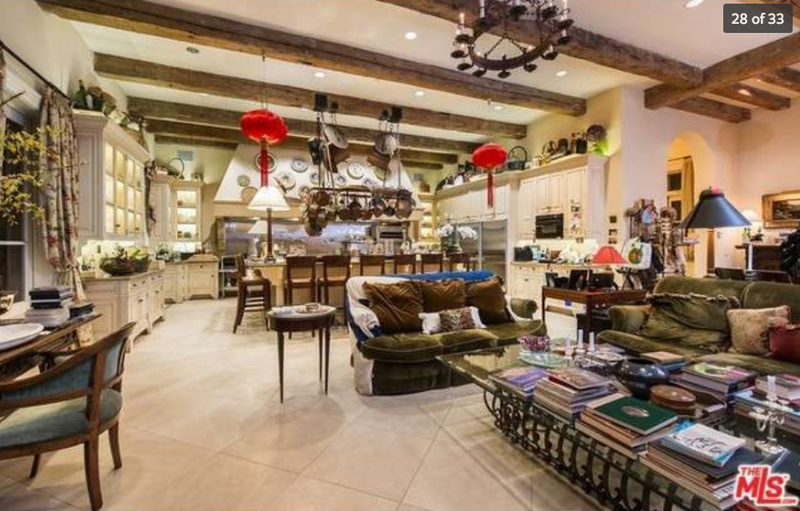 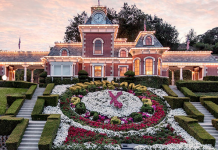 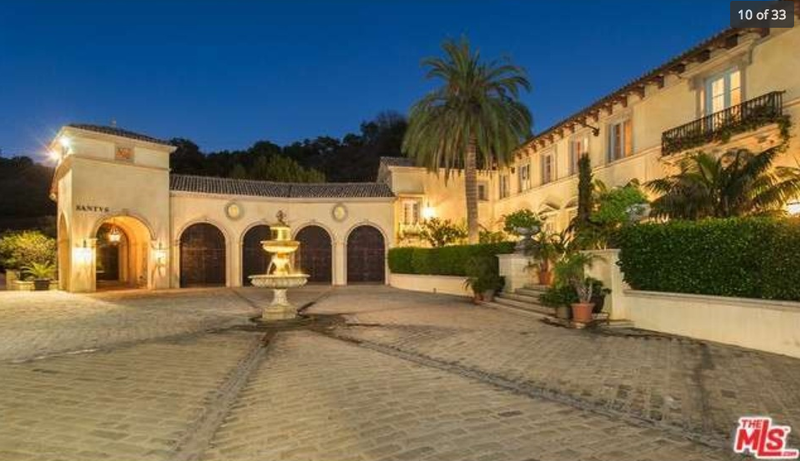 Wheel of Fortune letter turner Vanna White’s former home is now available for rent! 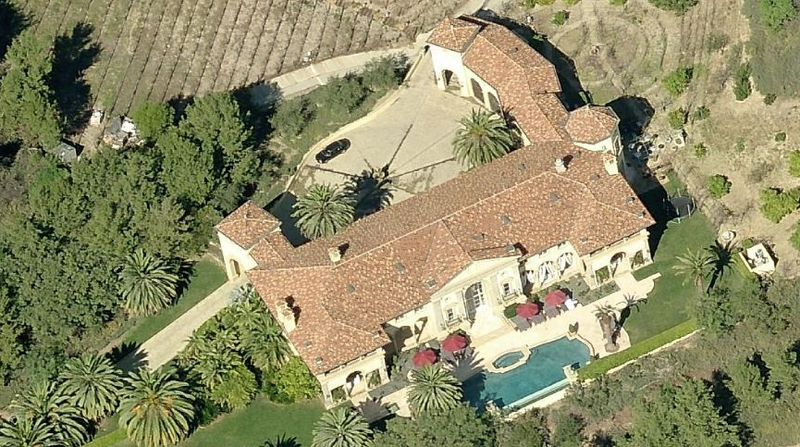 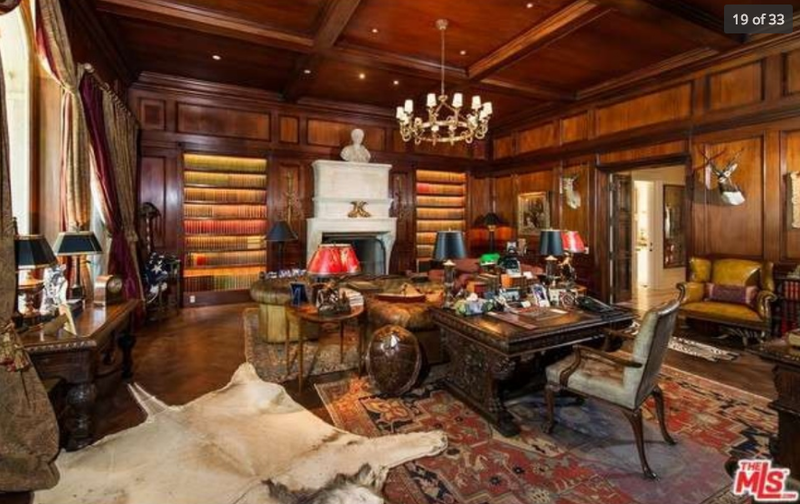 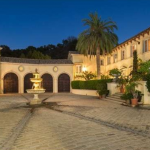 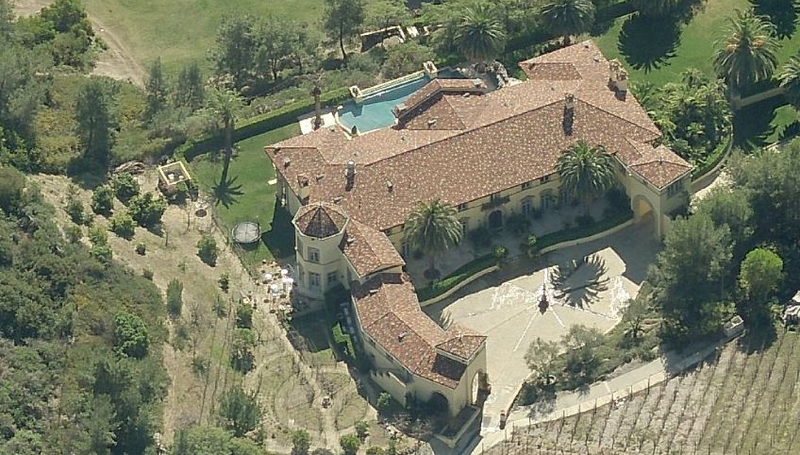 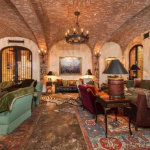 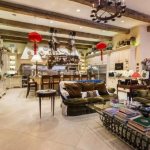 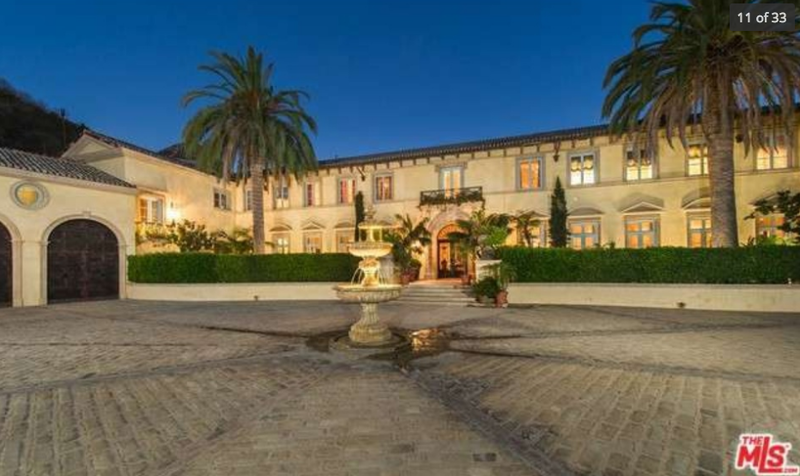 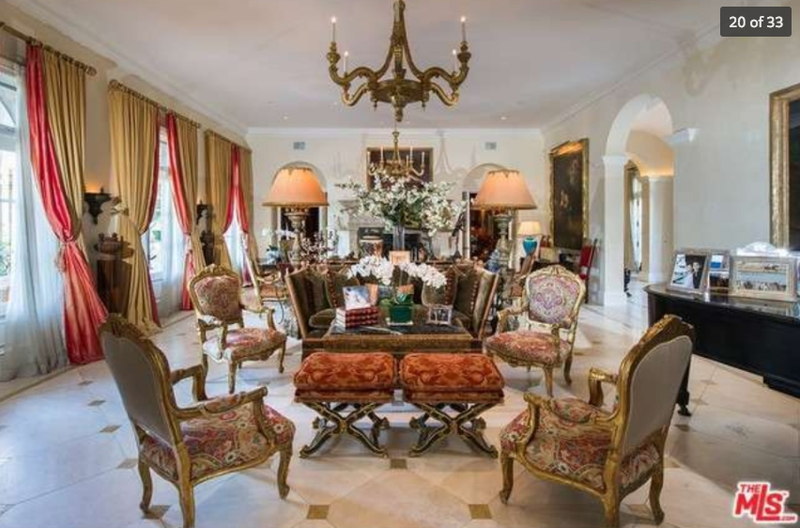 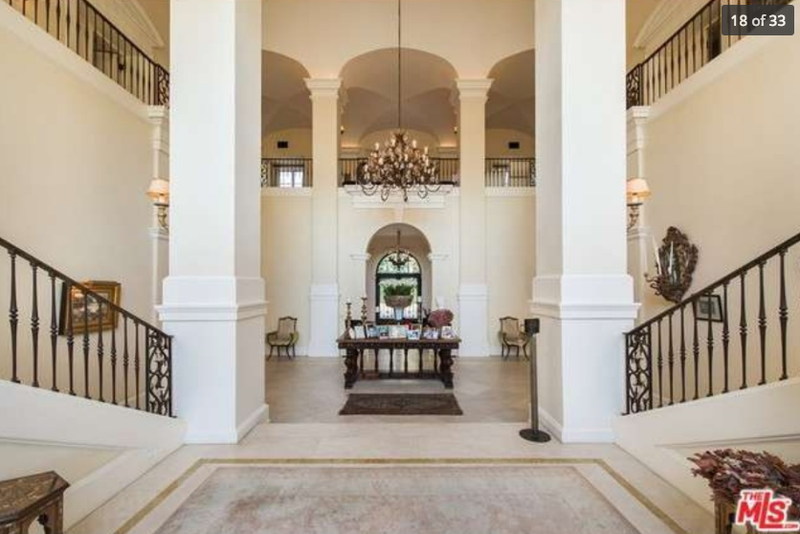 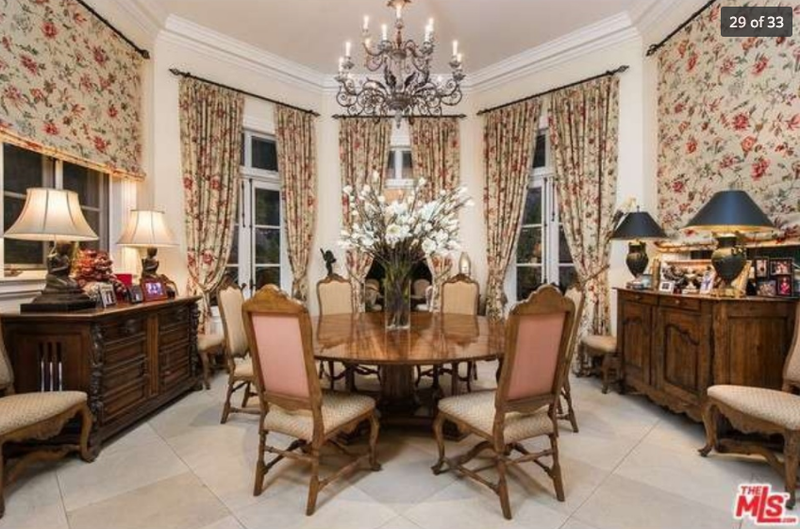 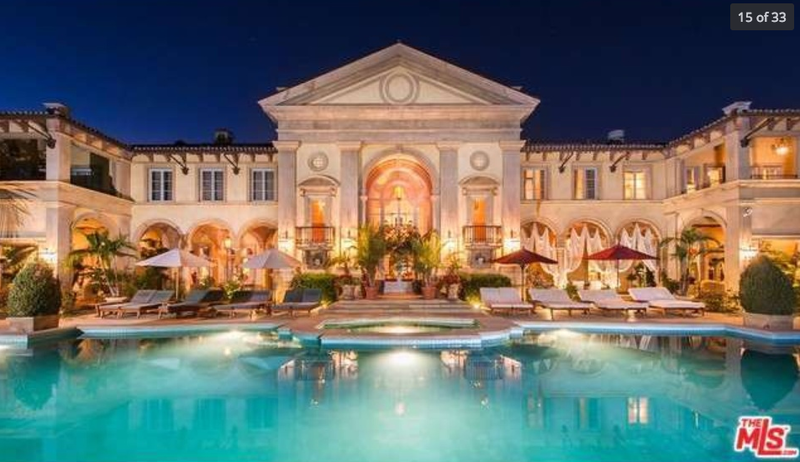 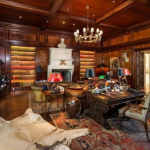 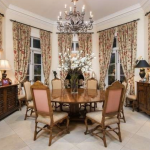 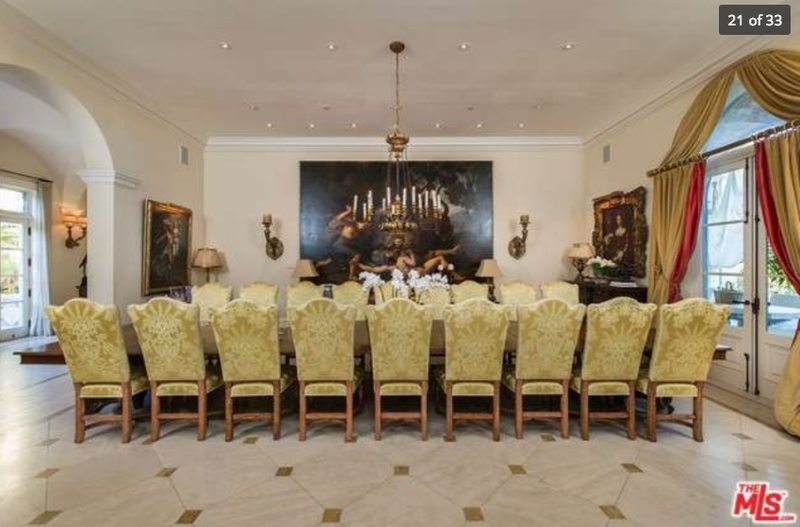 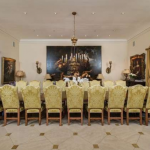 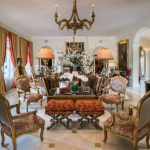 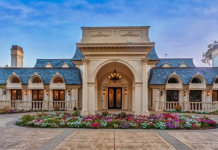 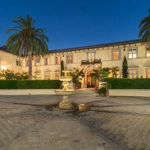 Located at 75 Beverly Park Lane in the exclusive guard-gated Beverly Park community in Beverly Hills, CA, the Tuscan inspired home was built by her ex-husband George Santopietro (who also lives there). 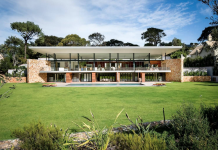 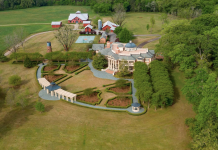 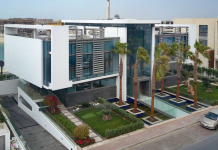 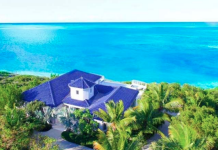 It was built in 1997 and is situated on 5 landscaped acres. 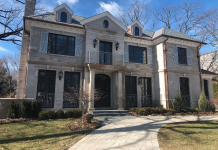 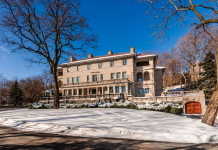 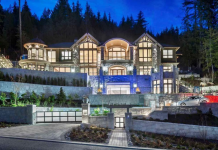 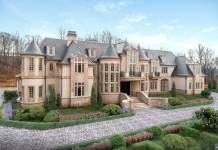 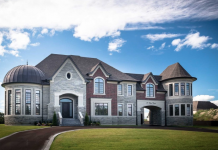 It features approximately 14,554 square feet of living space with 8 bedrooms, 10 bathrooms, 2-story foyer with double staircase, formal living & dining rooms, paneled library/home office, gourmet kitchen, family room, gym, wine cellar with lounge, 4+ car garage and more. 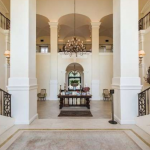 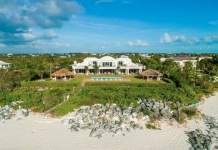 Outdoor features include a gated entrance, porte-cochere, motor court with fountain, terraces, patio with swimming pool and spa, formal gardens and more. 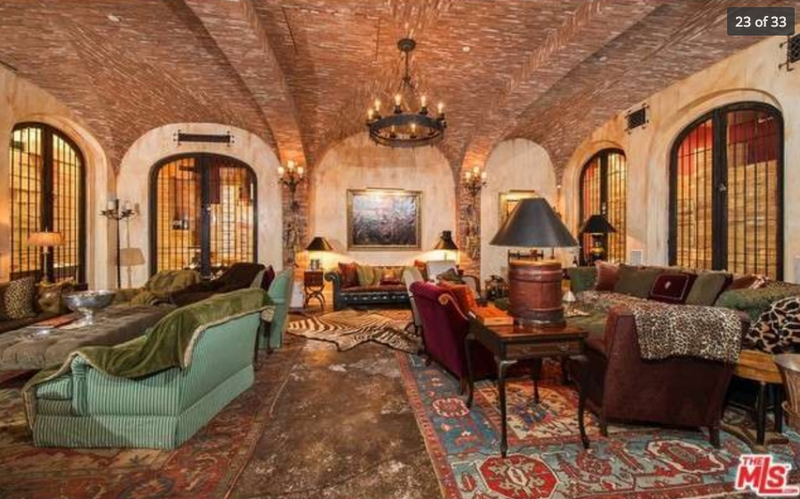 It is available for rent at $150,000/month.